Narec Distributed Energy provided energy master planning to Newcastle City Council to help implement and agree a sustainable energy action plan and a citywide climate change strategy, to deliver regeneration and help drive forward the delivery of low carbon and affordable energy schemes in accordance with the climate change and political agenda across the city. 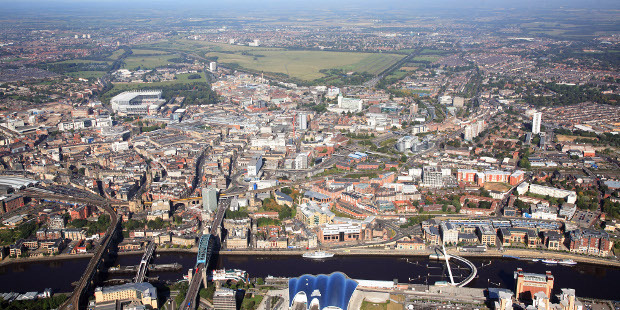 Narec Distributed Energy was appointed by Newcastle City Council to assist them in a technical capacity to develop and deliver a Sustainable Energy Action Plan. Ensure the council's Strategic Energy Action Plan for the EU Covenant of Mayors Agreement was achievable. Assessed all previous consultancy reports on energy commissioned by the council and summarised findings into a single document. Technical, economic and planning feasibilities of renewable and low carbon energy systems. Advice on possible forms for a city ESCo. Educating Newcastle City Council staff on energy related products. Quality assurance on PV installations installed by Newcastle City Council staff. The work already undertaken helped towards the city being awarded the title of the UK’s Most Sustainable City, 2009 and 2010.